Since the beginning of his reign, HSH Prince Albert II of Monaco has rolled out a pro-active sustainable development policy on both a national and international scale. The policy primarily covers biodiversity, resource management and greenhouse gas reduction. Managing the Principality's resources is central to government policy. The Department for the Environment is setting up programmes for inventorying and tracking marine and land species. The Principality is working to protect the marine environment, and all of its territorial waters are part of the Pelagos marine sanctuary. Two marine reserves have been set up in Monaco. The first spans 50 hectares in Le Larvotto and was established in the 1970s. It is home to a Posidonia sea grass bed, pearl oysters and dusky groupers. The second was founded in 1986 on the Spélugues seabed. Its red coral population is a special feature. An automated network of five standard stations were set up across the Principality over 20 years ago now with a view to ensuring comfort and avoiding human health and environmental hazards. These stations provide continuous surveillance, either automatically or via sampling, followed by lab analysis. The Department for the Environment handles all these measures, which are then submitted to AtmoSud (a Provence Alpes Côte d’Azur certified expert) for approval. Surveillance measures have been heightened with the uploading of an Air Quality Index (AQI) to the Government's onlineportal. Air quality is expressed via an overall index ranging from 0 (very good) to 100 (alert threshold), calculated using data collected from the five air quality measuring stations operated by the Department for the Environment. Next-day AQI forecasts are also estimated based on weather forecasts. The Principality monitors physical and chemical quality for coastal waters based on measurements taken from across various marine environment components (bodies of water, sediment and living organisms), and on awareness of activities and natural and anthropogenic factors likely to impact on quality levels in the marine environment. With respect to energy, the Government's environmental policy aims to uphold the Principality's pledges and commitments, in particular to the Kyoto Protocol. In order to meet the Kyoto Protocol's requirements, Monaco aims to improve energy efficiency by 20% and source 20% of final energy from renewable sources by 2020. The Principality of Monaco has committed to halving greenhouse gas emissions by 2030 (compared to 1990 figures). To meet this objective, an Energy Transition Unit was set up and aims to target the three sectors most responsible for greenhouse gas emissions in Monaco: road transport, waste processing and building energy use. The Unit also oversees the national eco fund aimed at funding major projects. Having drafted the white paper that served as a roadmap for the process, the Energy Transition Unit is now working on developing renewable energies in Monaco (solar energy, ocean thermal energy, geothermal energy, etc.). 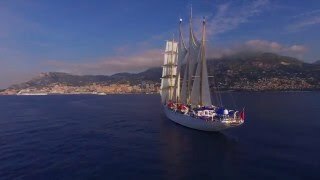 The tourism sector in Monaco is adhering to the environmentally-friendly policy upheld by the Government of Monaco. All those involved are committed to creating a new, more responsible brand of tourism and are putting solutions in place to optimise resource management. The destination and its partners are working hard to protect and preserve water resources and biodiversity and lead the way in the fight against global warming. 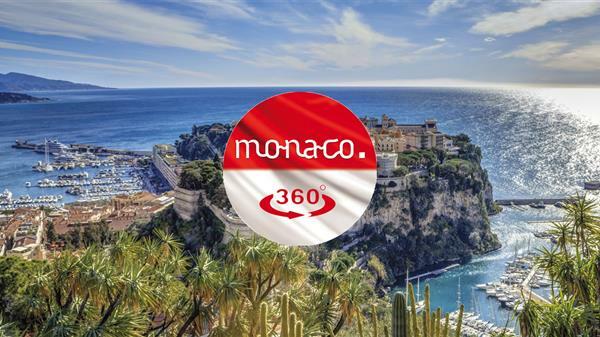 As an example, most of Monaco's hotels boast environmental certification and soft mobility is being promoted thanks to an expanded public transport network and efficient, inter-modal transport solutions. Awareness-building initiatives are regularly launched, based on key themes such as recycling, cutting back on food waste, protecting biodiversity, etc. In 2018, Monaco's Department for Tourism and Conventions launched a new communication strategy that aims to promote responsible tourism, with the strapline 'Green is the new Glam'. 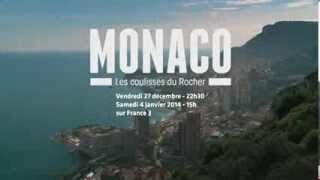 This powerful message is designed to reassert Monaco's status as a 'responsible luxury tourism’ destination. Rolled out across all international materials and markets and drawing on high-impact images and a video campaign, 'Greenis the new Glam' showcases partners' initiatives and promotes best practices, from hospitality to cuisine as well as mobility and the Principality's major sites of interest and events.